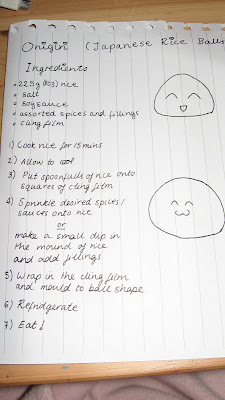 Today I made some Japanese Rice Balls – Onigiri, which are used as a main part of a Bento (lunch box) often in Japan. I didn’t use Nori (seaweed) which you’re supposed to wrap around the rice balls so I just picked out ingredients from the fridge and the spice rack. 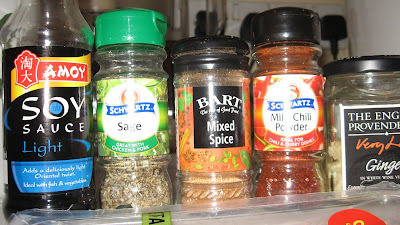 I used: Soy sauce, Herbes de Provence, Mixed Spice, Chili Powder, Ginger pieces, Sage and Chorizo. 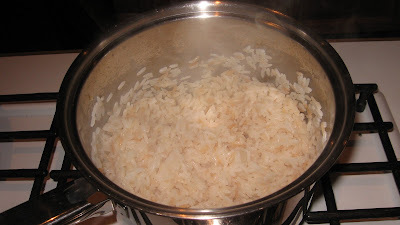 First of all heat up a tablespoon of oil in a pan and add 8oz (225g) of rice. 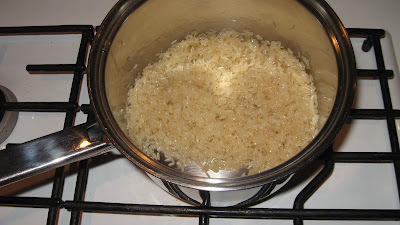 Put the heat on medium and stir the rice until it turns clear. 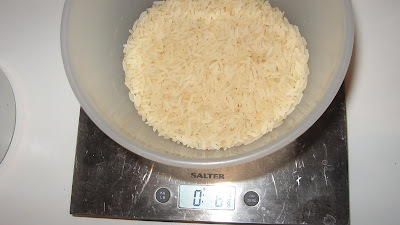 Make sure to stir constantly so the rice doesn’t burn. 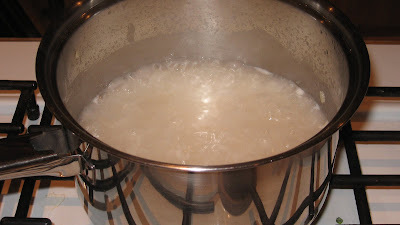 Once the rice has turned a clearer colour, add a pinch of salt and a litre of boiling water (I boiled it in the kettle to save time). Leave the rice to simmer with a lid on the pan for 15 minutes, by then the rice should have absorbed all the water. 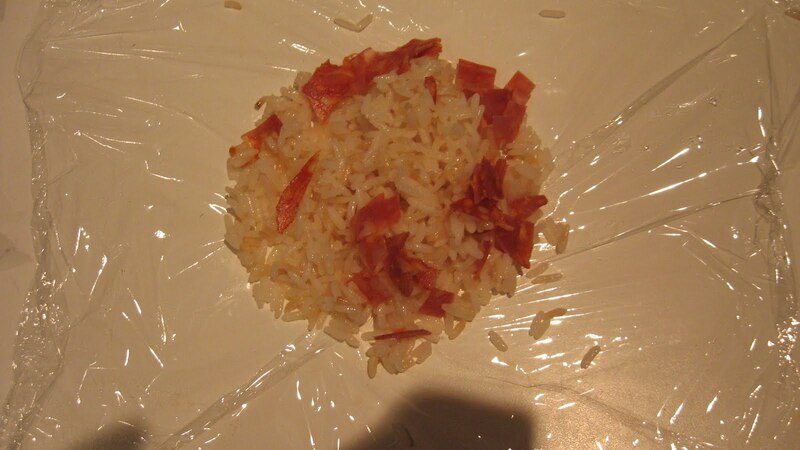 Leave the rice to cool for a bit, and then spoon the rice onto a piece of cling film. 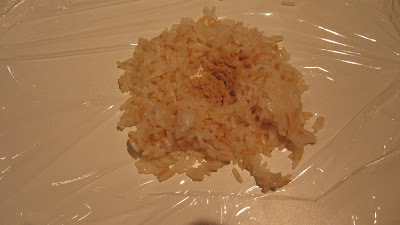 Sprinkle on your chosen herbs or toppings, if you’re using a filling like tuna then make a little dip in the middle of the rice mound, and place it in there. 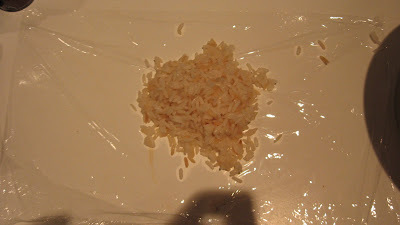 Then wrap up the rice in the cling film and mould it into a ball shape, and put it in the fridge if the rice doesn’t stick very well immediately. 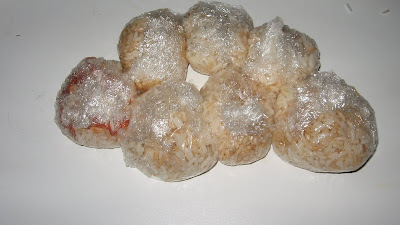 oh yesh i love onigiris ! 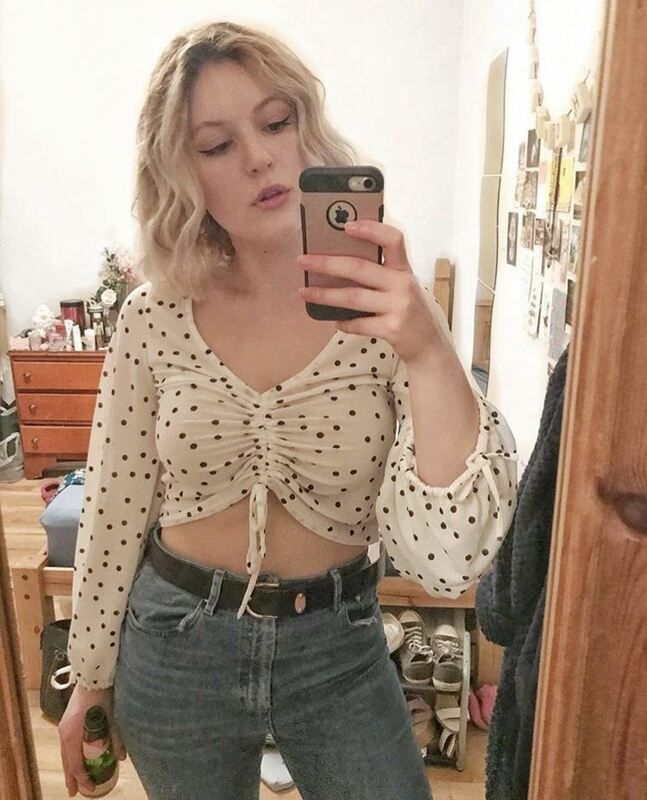 they're so delicious . how come urs is shaped into a ball ? the one i usually get is in a triangle shape and it has seaweed on the bottom half . These look very good. I'd like to try it sometime. I love onigiri. I like it like this and the seaweed way too. It's also much better using sushi rice...and if you steam the rice instead, it's much fluffier! Also...you can buy Furikake in some Chinese supermarkets! 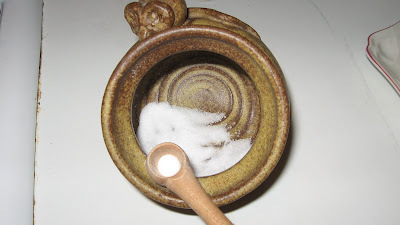 Or...a really simple one you can make at home is simply sesame seed and salt seasoning. 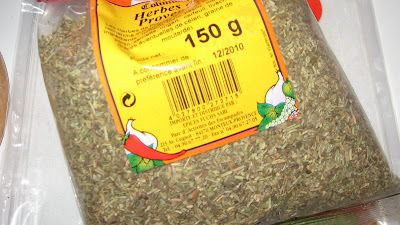 Really flavoursome and yummy!